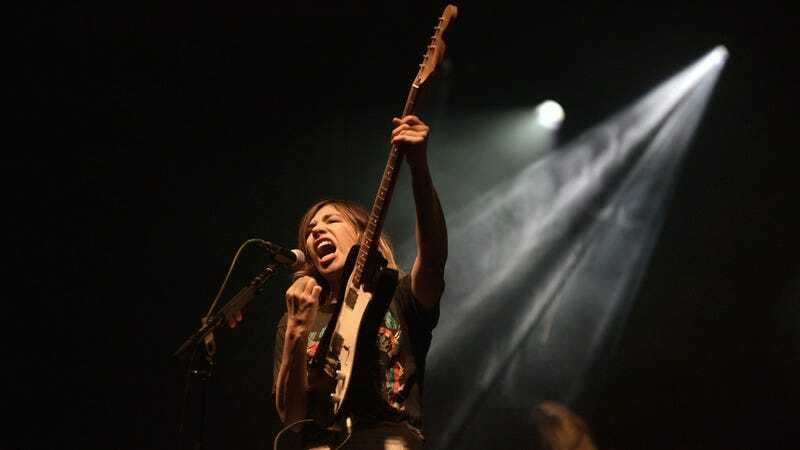 Portlandia co-mastermind Carrie Brownstein has lined up her first feature directing gig, with Deadline reporting that the Sleater-Kinney rocker has been tapped to direct MGM’s upcoming Fairy Godmother film. Written by blogger/playwright Chiara Atik, the film centers on the titular supernatural services provider, who finds herself in a bind when the prince she’s meant to be hooking up with her latest client falls in love with her instead. Brownstein has been moving steadily into the world of directing in the last few years, cementing herself as something of a comedy Renaissance person. (She also wrote a well-received memoir, among other accomplishments.) Brownstein previously helmed a couple of episodes of Hulu’s Casual, Comedy Central’s Idiotsitter, plus her own IFC sketch show, which wraps up its run with an eighth season next year.